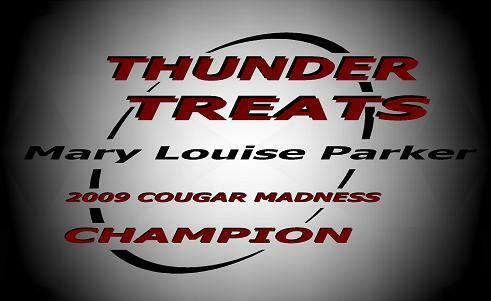 It has been a wild three week ride that I am sure no one wants to end, but as the saying goes “all good things must come to an end.” With that being said, we here at Thunder Treats would like eveyone to join us in congratulating Mary Louise Parker on her biggest win of the tournament. Early on and most of today, the votes were swaying back and forth between her and opponent Diane Lane, but as it came down to the wire, MLP started to sprint towards the finish. Diane Lane was a very good candidate and should be remembered for the wildfire she spread not only in her region, but in the tourney as well. Thanks to all the people who followed our tournament and thank you to all the websites and blogs that picked up on it as well. Keep coming back to Thunder Treats in the future as we will be redesigning the website and bumping our street cred up a notch or two. Congrats again to Mary Louise Parker and a hat tip goes to Diane Lane who fought a tough battle. You are currently browsing the archives for the Championship category.